Profess or John Kalaras, Ph.D., a CAPRC advisory board member and senior professor, Quality Training Institute, Inc., in Skokie, Illinois, is see speaking during the Global Partnership Summit, held in Delhi, India He introduced two new lectures, “Alternative Business Development Model” and “Alternative Academic Model”. Ministry, Goverment and Industry Estate leaders explanation about real world use cases, success stories and best practices. 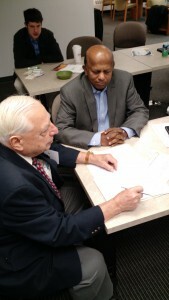 Follow up on joint marketing promotions with support from top level officials and influential regional decision-makers. 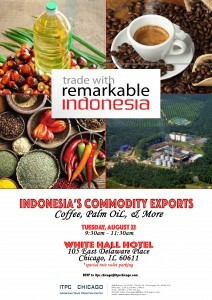 Network with key government and cerrier representaties. Solve your investment challenges with the industry’s notable person at CJIBF . Do business! 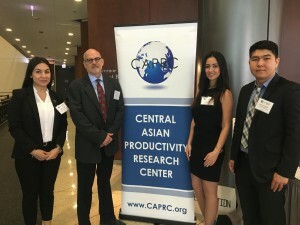 A discussion session focused on “New Business Opportunities in Azerbaijan” was held during a luncheon session, sponsored by the Central Asian Productivity Research Center at 11:30, Monday, Nov. 6, at (TBA). Professor Harry Lepinske, CAPRC chairman, discussed the fast expansion of economic growth and its strategic geographic position; followed by Eldar Babazade, a representative of Synergy Group, based in Baku, Azerbaijan, who will focus on prioritized targeted industries. 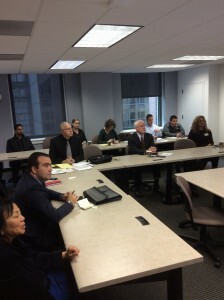 9:00 A.M., Friday, November 3, at Northern Illinois University’s Loop Center, 105 W. Madison Street, Chicago. This was the last meeting for 2017. All committee chairs completed their annual reports. As of this writing, we now are requested to submit the CAPRC annual report to the state in September 2018. We also will need to change our past practices regarding the quarterly meetings. For 2017-2018, this meeting technically also served as the first quarterly meeting. Professor Harry Lepinske, CAPRC chairman, is seen signing a “memorandum of understanding” between the CAPRC and the World Confederation of Productivity Science (WCPS), during the fourth quarter business meeting on Nov. 3, at the Loop Center of Northern Illinois University, Chicago. 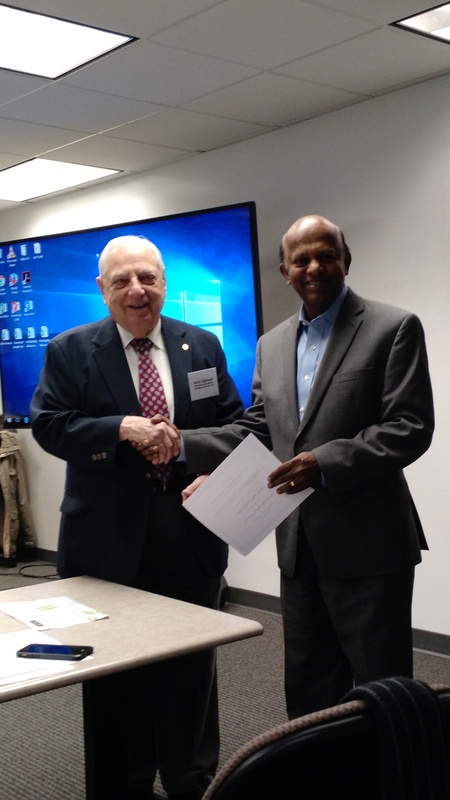 Prepared to counter sign is the CAPRC vice chair, Prof. Paul Prabhaker. With the rapid development of China’s Seven corridors of the One Belt One Road program, financial economic, transportation, and distribution aspects are changing. 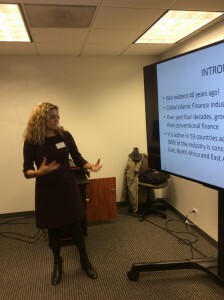 A seminar focusing on the “Changing World Of Finance” was held on Friday morning, November 3, at Northern Illinois University’s Loop Center, 105 W. Madison Street, Chicago. 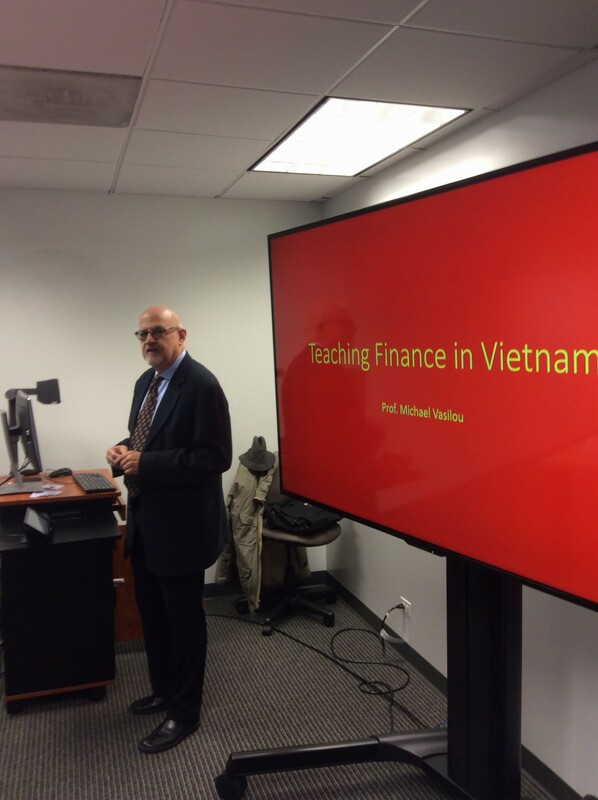 The educational seminar , with a standing room audience, was organized by the Central Asian Productivity Research Center. 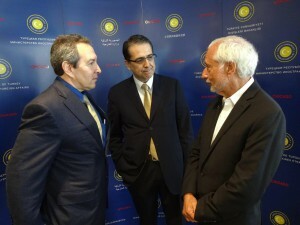 It was attended by representatives of the diplomatic corps, business, government, and academia. 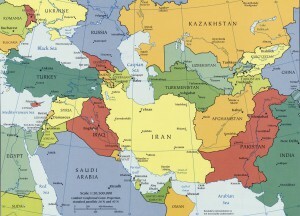 A report about his personal experiences across the globe. Indonesian dip lomats-Consul General Rosmalawati Chalid and Deputy Consul General Eni Hartati (center) greeting representatives of the CAPRC—Professor Harry Lepinske, CAPRC chairman (far left) and John Miao, advisory board associate (right) during the consul general’s-sponsored cultural event, “Celebrating Batik as Intangible Cultural Heritage of Humanity”, at the Indonesian Cultural Center, Chicago. 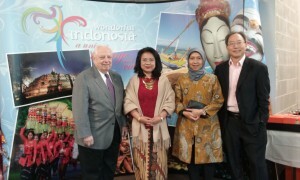 The event focused on the Indonesian traditional textiles called batik. 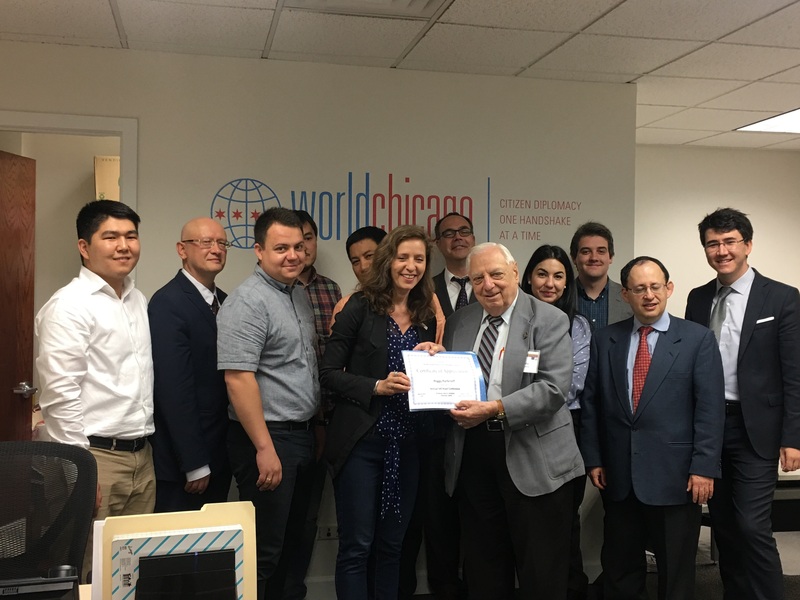 president of World Chicago, a city of Chicago-supported agency, for its cooperation with the CAPRC. Observing the presentation are members of the CAPRC advisory board, members of the CAPRC’s Young Professionals Programs and members of a business delegation from Uzbekistan. 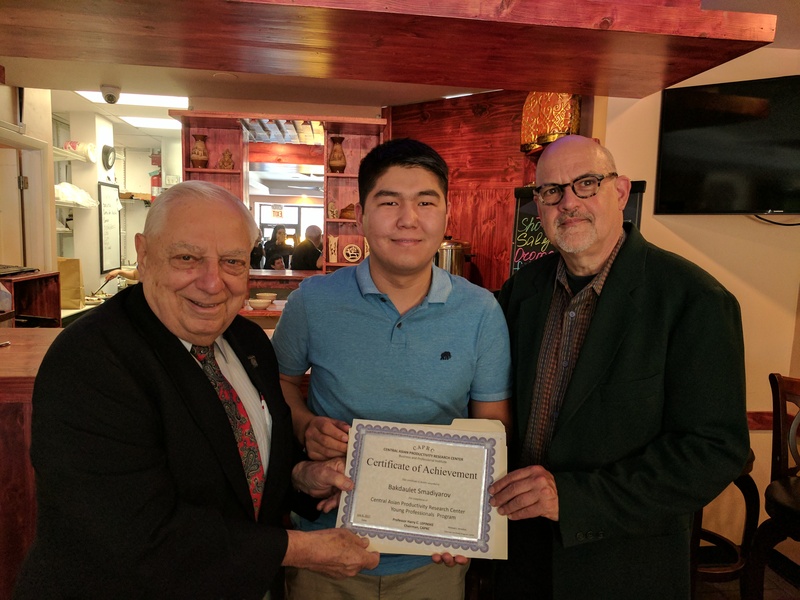 The CAPRC members had just completed conducting a workshop for the Uzbeks focusing on the development and operation of franchising. 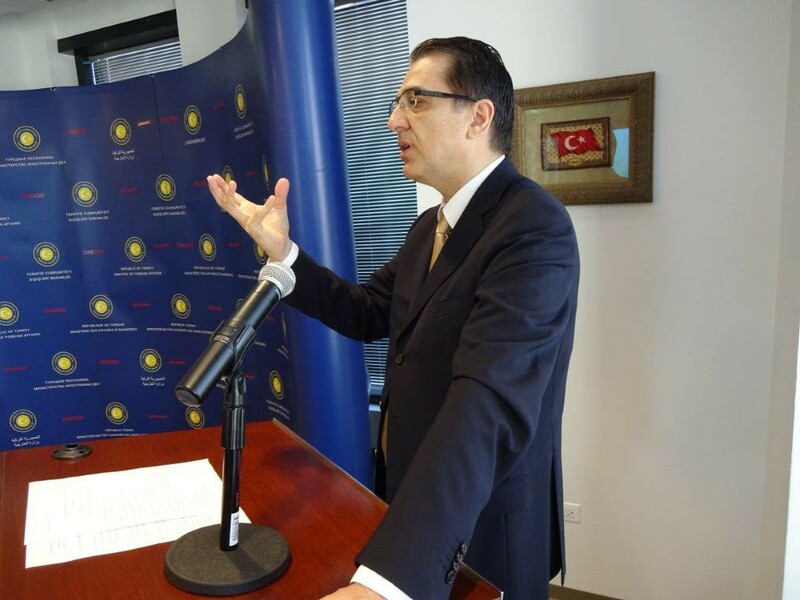 CHICAGO—Zafer Karaca, of Karaca and Associates, Attorneys-at-law, of Istanbul and London, conducted a seminar focusing on “Understanding The Legal Aspects of Doing Business in Turkey” on Friday, Oct. 20, 2017, at the conference Center of the consulate general of Chicago, 455 N. Cityfront Plaza Dr., suite 200, Chicago. 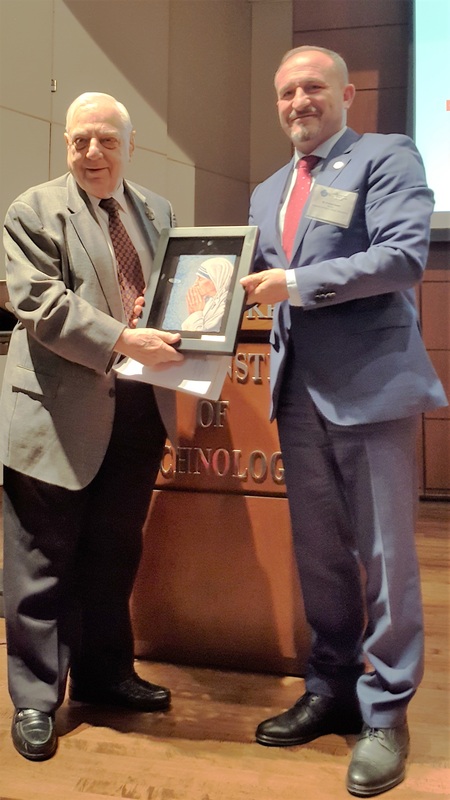 The event was organized by the Central Asian Productivity Research Center, in cooperation with the Turkish Consulate General. 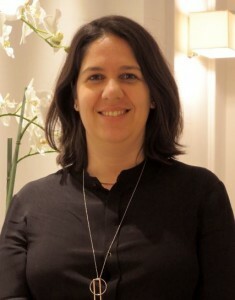 Karaca is a member of the CAPRC’s legal committee. Karaca studied in Istanbul and London; worked for the European Commission in Brussels; and has a wealth of international business. 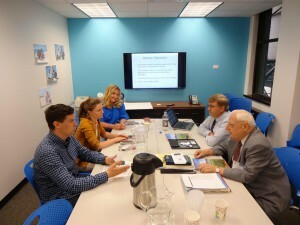 Zafer Karaca (center) is seen discussing legal matters with Thomas Rosenberg, attorney-at-law, RK Global, Northbrook, IL (left) and Michael Traison, Cullen and Dykman LLP, New York. 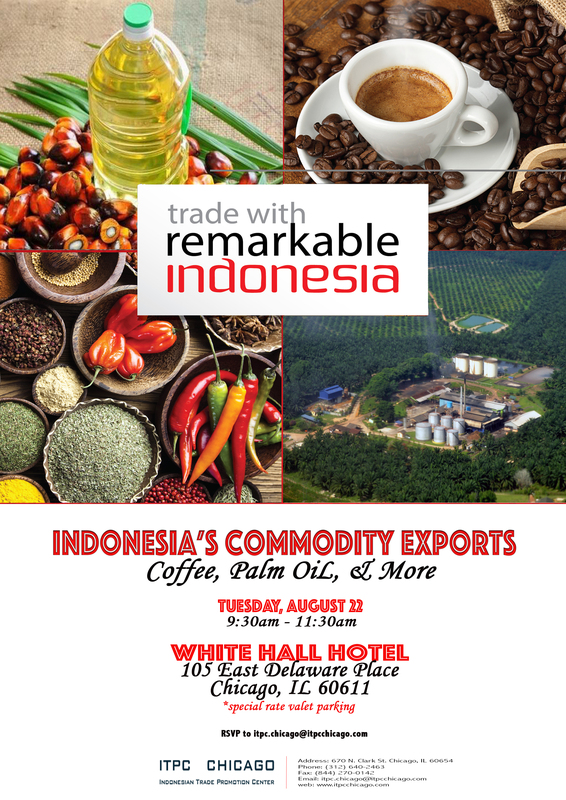 • Meet one-on-one with key regional experts to discuss new market-entry strategies and insight. 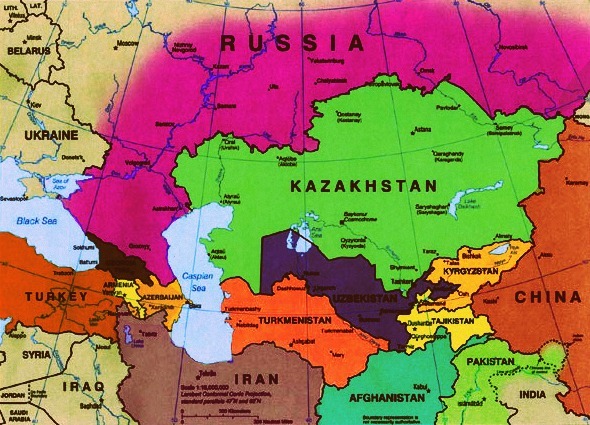 China Has More Develo pment Initiatives Than Just One Belt One Road was discussed by Anita Tang, managing director for Royal Roots Global, Inc., during a luncheon session of the Central Asian Productivity Research Center. 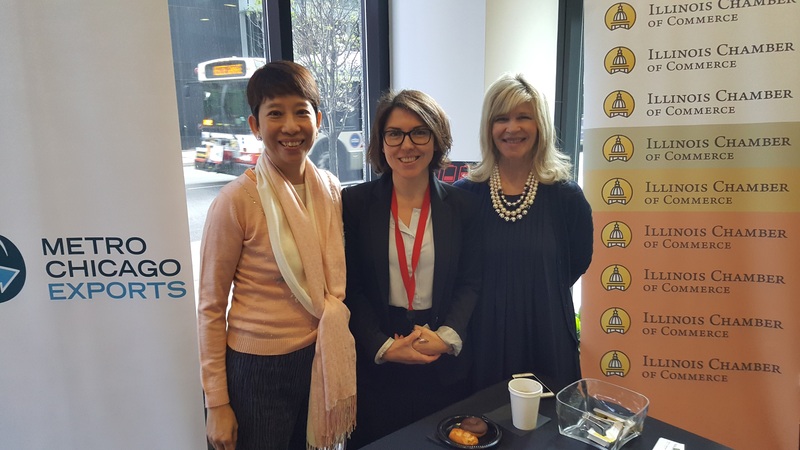 During her presentation, Ms. Tang discussed the various internal and external development initiatives in which China is focusing. 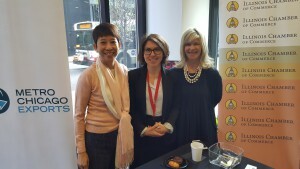 She also will share some of her business experiences and business opportunities with and within China. 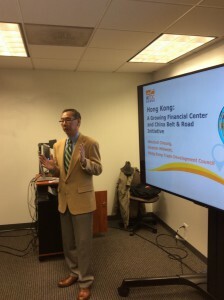 Born and educated in Hong Kong, she was further educated in the U.S., first a B.B.A.in economics from Loyola University, Chicago, followed by an MBA from Northwestern University ’s Kellogg School of Management. Her first career was in financial markets trading interest rates, currencies, and financial and commodity futures in Asia and the U.S. 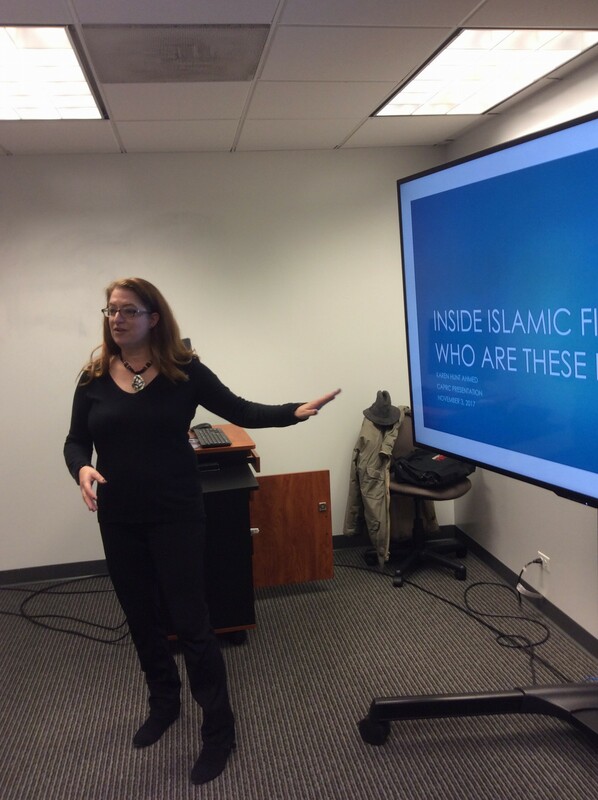 In 1999, she decided to build a new career in the U.S. focusing on China business advisory. 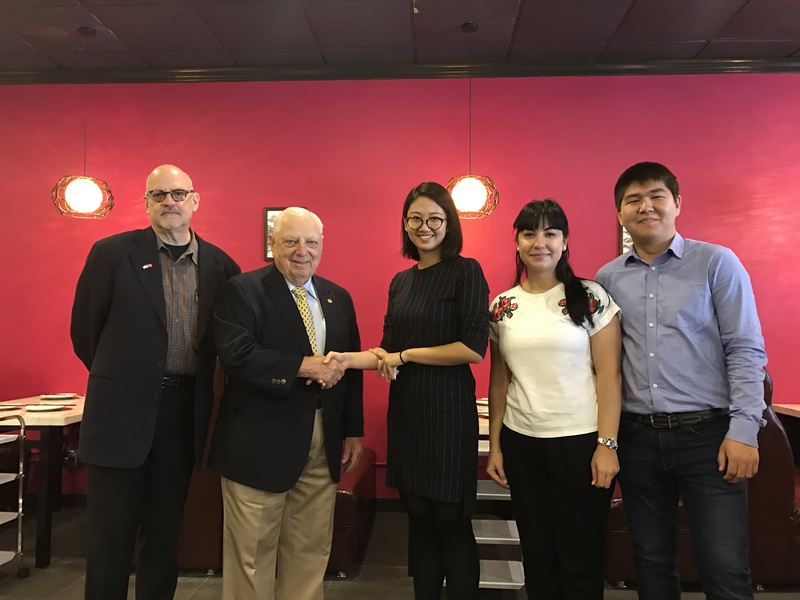 Ms. Tang was named a Fellow of the World Academy of Productivity Science in 2010 for her U.S.-China business contributions and achievements. Hon. 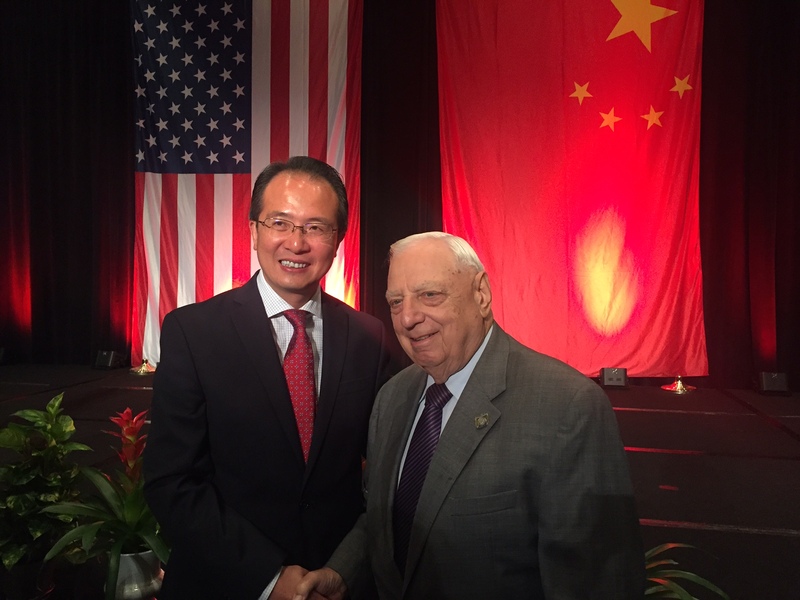 Hong Lei , Chinese Consul General in Chicago, is seen greeting Professor Harry Lepinske, CAPRC chairman, during the 72nd anniversary celebration of the People’s Republic of China on Thursday, Sept. 28, 2017, at the Hyatt Regency Hotel, in Chicago. CAPRC advisory board members are seen greeting high level government officials from Indonesia during the Indonesian government’s “Trade and Investment Opportunities in Indonesia” Conference held on September 25, 2017, at the Union League Club, in Chicago. Indonesia confirmed its participation in the 2018 Silk Road Conference scheduled in Chicago on Friday, April 20, 2018. The Hon. 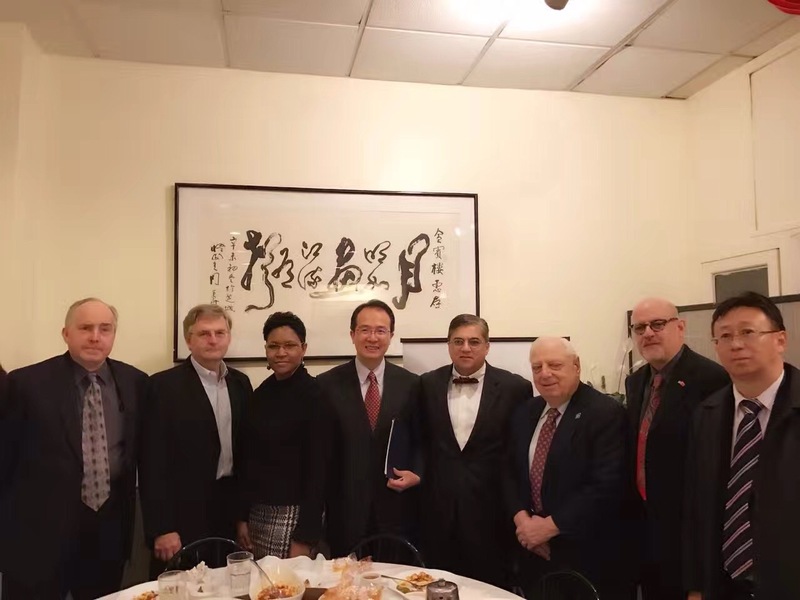 Mateusz Morawiecki, deputy prime minister of Pola nd and minister of economic development and finance, (left) is seen with Professor Harry Lepinske CAPRC chairman, discussing the 2018 Silk Road Conference during a meeting at the Polish Consulate General, in Chicago Deputy Prime Minister Morawiecki presented a detailed report about Poland’s economy and its economic progress. CAPRC advisory board member are seen conducting a training session focusing on entrepreneurship for representatives of various entrepreneurship organizations in Kazakhstan. CAPRC advisory board members are seen conducting a training session focusing on the franchising field. 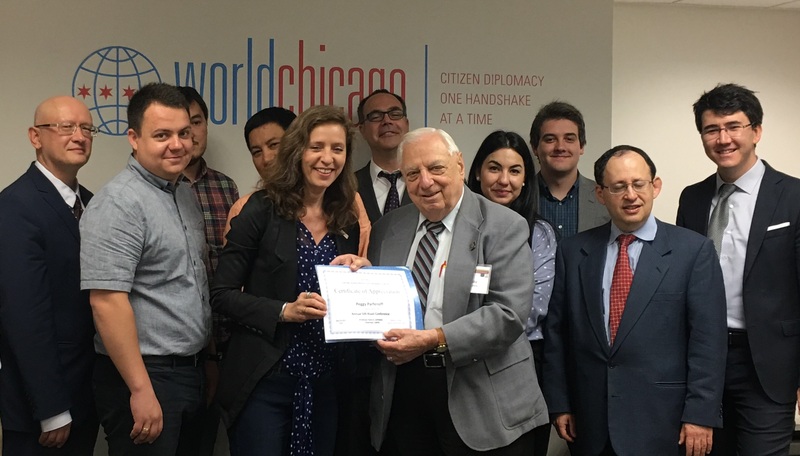 Michael Krzyston (center left)and professor Harry Lepinske, CAPRC advisory board members, are seen conducting a management training session for Russian company executives who visited Chicago as part of the U.S. State Department program and World Chicago. 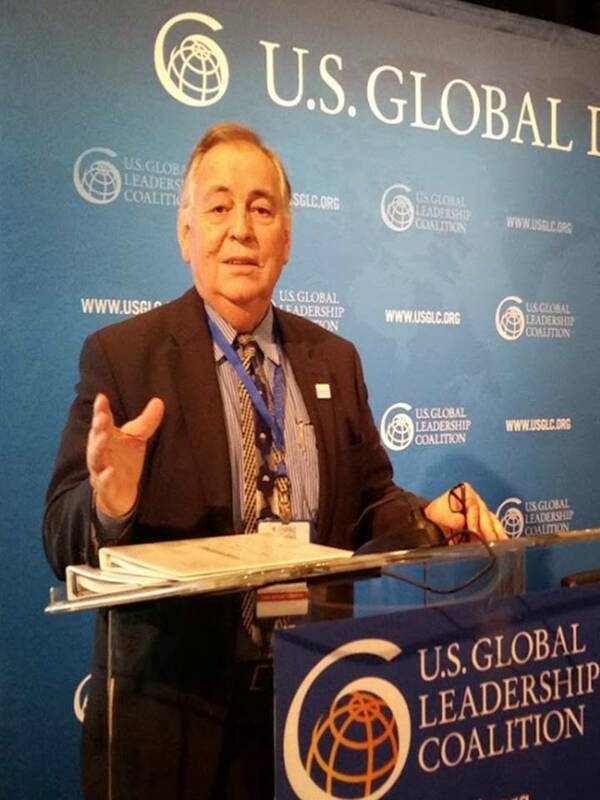 The following is a link to a 25-minute introduction I gave to friends in Latin America and Spain on July 22 on the Belt and Road project. 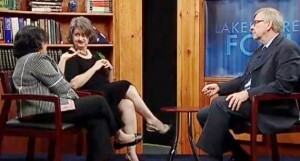 It was conducted on google.hangouts with groups in Mexico, Peru, Colombia,Guatemala and Spain. All in all there were some 200 people on-line. Professor Harry Lepinske (right-center) is seen presenting a Certification of Appreciation, to Peggy Parfenoff, president of World Chicago, in behalf of the Central Asian Productivity Research Center, for her support of the CAPRC. 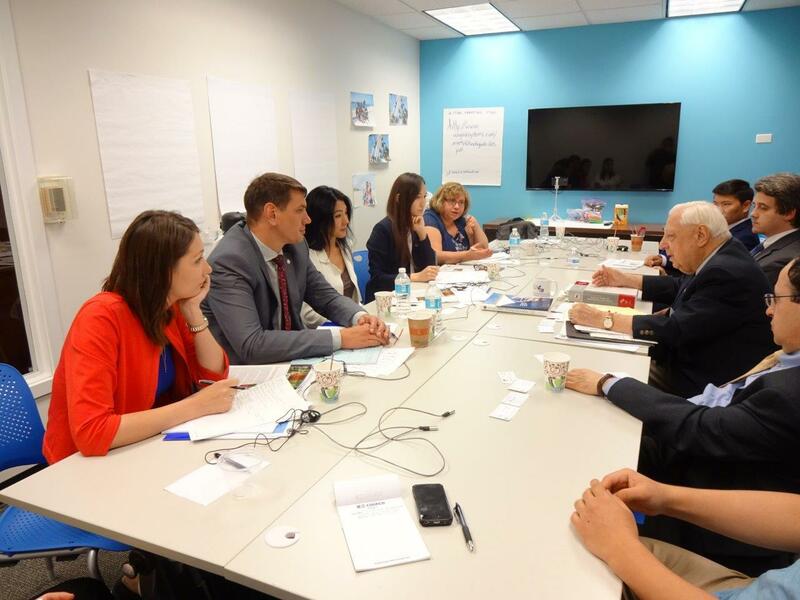 Seen are members of the CAPRC advisory board, members of the CAPRC’s university program, Young Professionals Program (YPP), and members of a business delegation from Uzbekistan. The CAPRC conducted a discussion session with the Uzbeks focusing on “franchising”. The Uzbeks were visiting the USA, as a project of the U.S. Department of State. 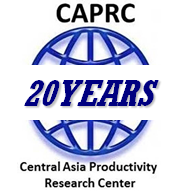 A Central Asian luncheon for the Central Asian Productivity Research Center’s Young Professional Programs is scheduled at 1 PM, on Tuesday, June 27, at the Jibek Jolu Downtown, 351 West Oak St. The event is scheduled as an appreciation for the YPP members for their assistance at the Silk Road Conference, and to bring the young university students together with the CAPRC advisory board and associate members. 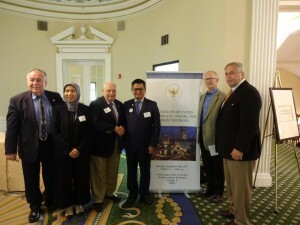 Organized by the International Ports of Indiana and the Central Asian Productivity Research Center, the event is supported by the Northwest Indiana Forum. 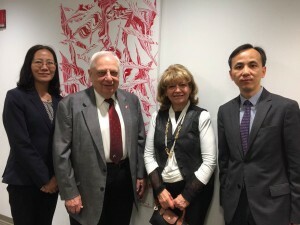 When Chicago’s diplomatic corps and prominent leaders of the Turkish community welcomed the world renowned Idil Biret, seen were (left to right): Min Zhang, cultural consul, China’s consulate general; Professor Harry Lepinske, Chair, CAPRC; Madam Idil Biret, and Min Zhang, consul, Chinese consulate general. Madam Biret is known as a child prodigy at age five and is the only pianist to record the complete Beethoven piano sonatas and concertos for her own label. The event was hosted by the Turkish Consul general Umut Acar. 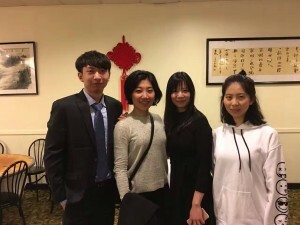 She appeared at a piano concert at Roosevelt University in Chicago. 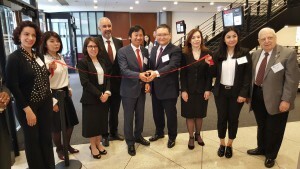 Focusing on the “China-Pakistan Economic Corridor” and new business opportunities highlighted a timely seminar held at 10:30 A.M. on Friday, May 12, at the Pakistan Consulate General, suite 728, 333 N. Michigan Ave, in downtown Chicago. 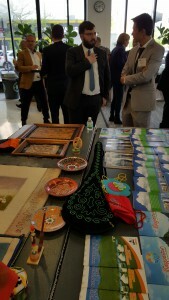 Pakistan Consul General Faisal Tirmizi discussed the “Tourism Potential of Pakistan” . Hon. Amer Sultan Treen, Pakistan’s commercial consul, Followed with a timely report about Pakistan’s role in the “China-Pakistan Corridor and New Business Opportunities”. This “corridor” is one of the seven primary corridors that are designed to link China’s $4 trillion initiative called the “One Belt One Road”. 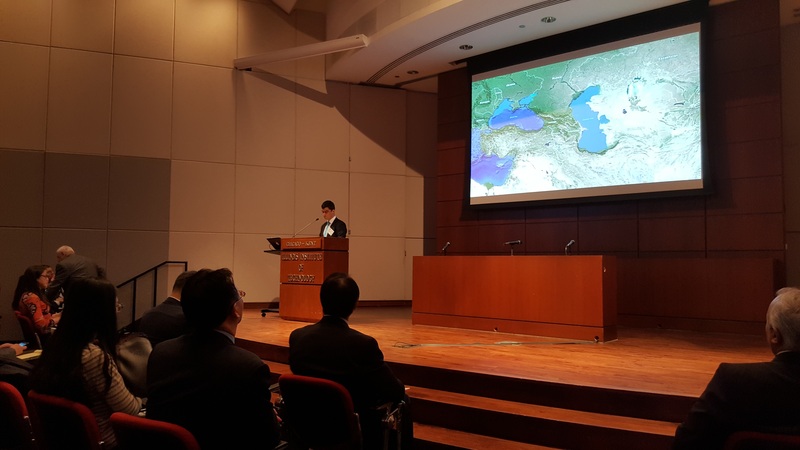 The event was organized by the Central Asian Productivity Research Center, a group that focuses on economic and academic development In nations located along the Silk Road from the Mediterranean Sea to the China Sea. 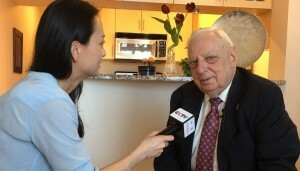 Joseph Haddad, is chairman of the CAPRC’s tourism committee. 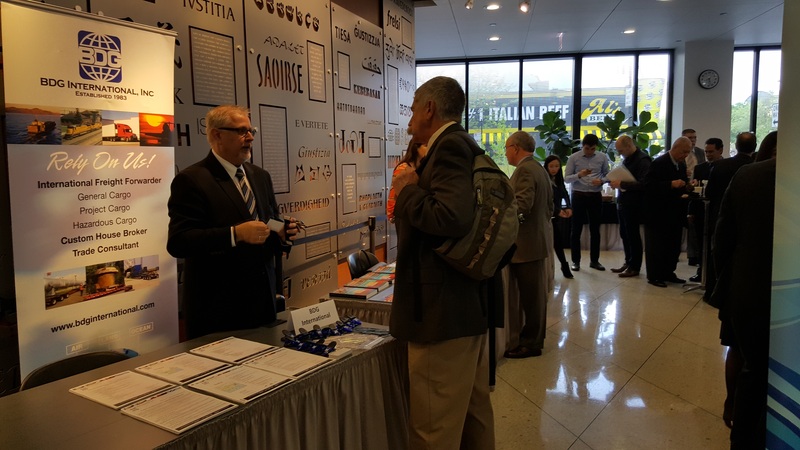 The Chicago International Student Career Fair will provide a platform for your company to meet hundreds of talented, highly skilled professionals, students and alumni. 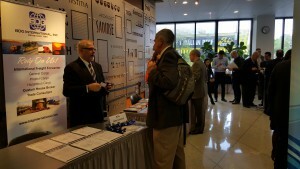 Connect with top international professionals and talent from leading area universities. 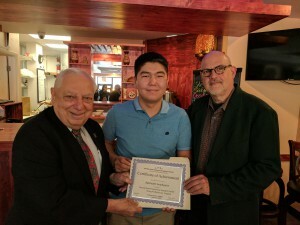 We are confident that this event will provide you with unique access to our talented international students in greater Chicago specializing in business, technology, health sciences, fine arts, architecture, engineering and more. NOTE: USACC is excited to announce complimentary business matchmaking services for Azerbaijani companies. 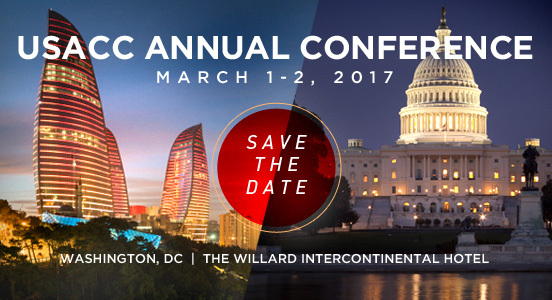 To register your interest in the conference, please e-mail us at chamber@usacc.org with brief company information by December 16, 2017. 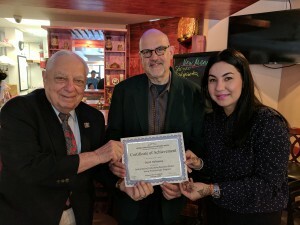 The United States-Azerbaijan Chamber of Commerce (USACC), based in Washington D.C., aims to help strengthen business ties in both countries for the benefit of private companies, and for the public and consumers they serve. To that end, we are pleased to invite you to our next annual conference on United States-Azerbaijan relations, scheduled to take place at the historic Willard InterContinental Hotel, conveniently located just one block from the White House. We hope to see you in Washington, D.C. on March 1-2, 2017 for this special event. Please stay tuned for more information in upcoming days. 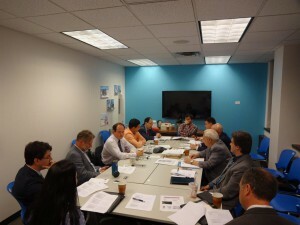 For questions and sponsorship opportunities, please contact us at 202-333-8702 or e-mail at chamber@usacc.org. “Focusing on 2017 in Turkey” was the theme for a seminar being organized by the Central Asian Productivity Research Center (CAPRC) on Friday, February 10, 2017, 10:30am at the Conference center of the Consul General of Chicago, 455 N. Cityfront Plaza Drive, Chicago. 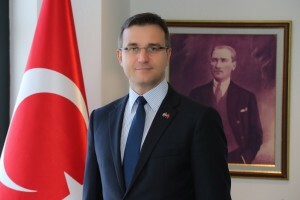 Turkey’s Consul General of Turkey Umut Acar Will speak about “Turkey in 2016: A Year To Remember”, followed by Ms. Esra Dogan Tulgan, coordinator-advisor for Investment Support and Promotion Agency of Turkey (ISPAT), the agency that promotes Turkey’s investment climate and assists investors, will speak about the Turkish economy and investment environment. Consul General Acar joined the ministry of Foreign Affairs in 1998; and served in Bulgaria and Germany, then with Turkey’s Ministry of Foreign Affairs as first secretary; counselor at Council of Europe; head of the department for administrative and Financial Affairs, Ministry of Foreign Affairs; and chief cabinet of the minister, Ministry of Foreign Affairs. He was assigned to Chicago’s consulate general in October 2015. Prior to her assignment in Chicago in December 2015, Ms. Tulgan worked for the agency in European markets, including France, Italy and French-speaking countries. US-CHINA CHAMBER PRESIDENT TO SPOKE AT CAPRC CHINESE NEW YEAR LUNCH “The Future of Foreign Trade Under Trump: How China Stands to Merge a Winner” was the theme for the Central Asian Productivity Research Center’s third annual Chinese New Year lunch. 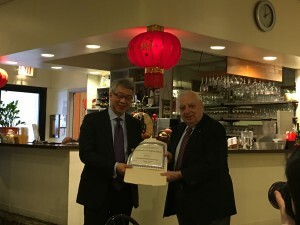 CHINA’S CONULATE GENERAL WAS HONORED GUEST. Honored guest was China’s Consul General in Chicago, the Honorable Hong Lei, who will offered timely comments. With his years of experience as an entrepreneur and internationally-recognized expert in US-Asian business, he will pose the question, “The Future Of Foreign Trade Under Trump: How China Stands to Emerge a Winner?” With a strong academic background, a CPA and CFA, He is known for being involved with 20 years of experience with mergers, acquisitions, public offering, and private placements of securities with a focus on cross border business and trade activities between the US and Asia. He recently co-founded and serves as the chairman for the U.S.-Vietnam Chamber of Commerce. 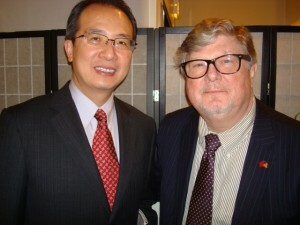 He also serves as an advisor for the Federal Reserve Bank Of Chicago. 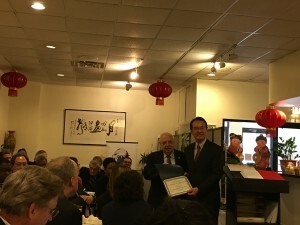 Siva Yam, president of the US-China Chamber of Commerce, was the guest speaker for the Central Asian Productivity Research Center’s third annual Chinese New Year lunch scheduled at 11:30 AM, on Friday, January 27, 2017, at House of Fortune Restaurant, 2407 S. Wentworth Ave.
Jon Anderson, EWA’s Vice President and Managing Director – China, is shown with The Honorable Hong Lei, Counsel General of the People’s Republic of China at the Central Asia Productivity Research Center Third Annual Chinese New Year luncheon in Chicago’s Chinatown. 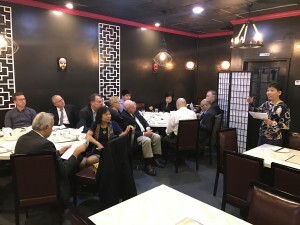 Jon Anderson had the opportunity make some brief comments regarding the curent China economy and describe examples of how EWA’s consulting practice has evolved into operations and commenrical performance enhamcement and risk management over the last few years from largely market entry engagements. Many western companies road the rising tide of double-digit growth and are now having to cope with single digit growth, overcapacity and domestic market changes in China. We provide support to these compaies to help their local senior management develop plans and the skills to make the necessary adjustments to re-scale to the new market realities. Students from ten universities were welcome guests of the CAPRC including(left to right): student from Purdue University Northwest; Xianoyue Ma, DeVry university; Liya Wang, Harvard University; and Yiru Luo, Loyola University. 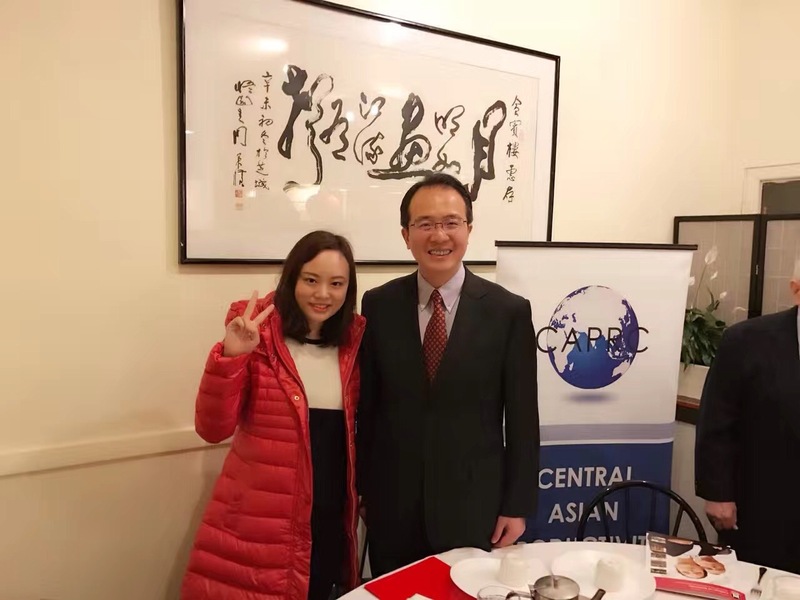 Here is Loyola student, Yu Xi, with the Consul General.